Many people believe in Jesus, but that doesn’t necessarily make the stories about him true. 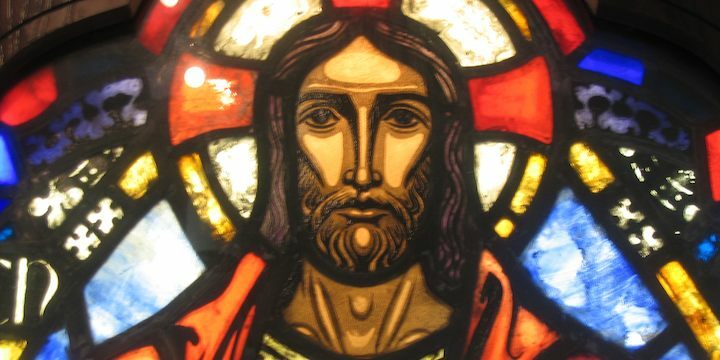 What do historians, both believers and unbelievers, conclude about Jesus? How much about him can we know, and how much is a matter of faith? It turns out that historians believe we can know quite a lot about Jesus while treating the gospels the same as they would treat any other ancient documents. Historical scholars don’t believe that everything recorded in historical documents is true. Instead they test everything (see Are the gospels historical? for more about this), concluding that some things are well established, somethings seem unlikely to be true and some things cannot be determined one way or the other. Jesus was born about 3-5 BCE, lived in Nazareth in his childhood, and was baptised by John the Baptist in the Jordan River. Bart Ehrman (quoting part of an archaeological report): ‘Nazareth was an out-of the-way hamlet of around 50 houses on a patch of about four acres …. populated by Jews of modest means. …. Jesus really came from there, as attested in multiple sources. It was common for a rabbi or teacher to have disciples (followers committed to learning from their master). Jesus’ choice of 12 was probaby significant. GW Clarke: Jesus’ central activities of teaching in the synagogues, attending the Temple services, keeping the festivals – and disputing with other teachers ….. place him in the mainstream of contemporary religious occupations. This was uncommon for a Rabbi in his day, because of Jewish purity laws. Most scholars believe he was widely known for his healing and exorcism. EP Sanders: I think we can be fairly certain that initially Jesus’ fame came as a result of healing, especially exorcism. Many believe he truly effected cures and exorcisms. G Stanton: Few doubt that Jesus possessed unusual gifts as a healer, though of course varied explanations are offered. Maurice Casey believed they were effected by natural healing, but NT Wright believes they were signs of God at work. Most scholars agree this was Jesus’ main message. Many conclude that Jesus believed he was the “Messiah” (God’s chosen king or agent), inaugurating the Kingdom of God. He called people to repent, and made it clear that repentent sinners were eligible for the kingdom. P J Tomson: Although he apparently considered himself the heavenly ‘Son of Man’ and ‘the beloved son’ of God and cherished far-reaching Messianic ambitions, Jesus was equally reticent about these convictions. Even so, the fact that, after his death and resurrection, his disciples proclaimed him as the Messiah can be understood as a direct development from his own teachings. .
Welcoming “sinners” was part of Jesus’ teaching and he claimed to be able to forgive people’s sins. M Grant: Jesus introduced a very singular innovation. For he also claimed that he himself could forgive sins . Jesus predicted his death and resurrection (Maurice Casey), and he believed his death would be redemptive. Michael Grant: Jesus lived his last days, and died, in the belief that his death was destined to save the human race. . Maurice Casey: He believed that his death would fulfil the will of God for the redemption of his people Israel. Jesus clashed with the religious leaders over many of his teachings. Near the end of his life, he created a disturbance in the temple in Jerusalem, which almost all scholars agree was a catalyst for his arrest. Following a final meal with his friends, Jesus was arrested and interrogated by Jewish authorities then executed by the Roman Governor, Pilate. Most scholars believe that Jesus’ tomb was really empty and/or that his disciples “saw” him (in what sense is uncertain) after his death. E P Sanders: That Jesus’ followers (and later Paul) had resurrection experiences is, in my judgment, a fact. What the reality was that gave rise to the experiences I do not know . Amy-Jill Devine sums up: there is a consensus of sorts on the basic outline of Jesus’ life. Most scholars agree that Jesus was baptised by John, debated with fellow Jews on how best to live according to God’s will, engaged in healings and exorcisms, taught in parables, gathered male and female followers in Galilee, went to Jerusalem, and was crucified by Roman soldiers during the governorship of Pontius Pilate (26-36 CE). Paul of Tarsus and Peter saw “appearances” of Jesus after his death, and Mary of Magdala was an early witness to the resurrection (sceptical scholars don’t believe in a physical resurrection, nevertheless they believe there were appearances of some kind). This ‘minimum’ is still a significant list which more or less coincides with what can be gleaned from the non-christian Roman and Jewish sources. With this historical background, it is difficult to write Jesus off as not existing, nor can we say that we know nothing about his life and teachings. We seem to have two choices which fit the evidence: we may choose to believe in him and then trust the authors who wrote about him, or we may believe he was a Jewish prophet, but no more. GW Clarke quote taken from chapter “The origins and spread of Christianity” in The Cambridge Ancient History, Vol 10. G Stanton & PJ Tomson quotes from “The Cambridge Companion to Jesus”, edited by M Bockmuehl. J Dickson reference is to “Jesus: a short life”. E Judge in Foreword to P. Barnett, “The Truth about Jesus”. Amy-Jill Devine quote from Wikipedia.